Based on Lucy Maud Montgomery’s novel “Anne of Green Gables”, this Canadian television drama film is indeed magical with content and performances of its lead characters. 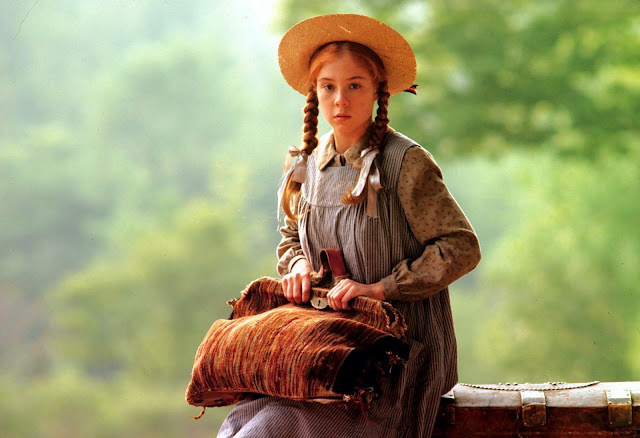 Well, many of us may have read the book but with Kevin Sullivan’s direction you get the same Anne with her fiery spirit and imagination that have been well pictured on screen by Megan Follows as Anne (with an ‘e’). The story tells you about a 13-year-old orphan girl Anne Shirley (played by Megan Follows) who is sent to an elderly brother and sister by mistake on Canada’s Prince Edward Island. As she finds her new home a dream come true, she certainly has to charm the owners as they were expecting a boy who could have helped them out on the farm and not a girl, who seemed self-indulgent and ill-tempered. While Mathew (Richard Farnsworth) was delighted to find a new member in the family, his sister Marilla (Colleen Dewhurst) was in no way pleased after seeing Anne with her talkative and over adventurous nature. What follows is a tale of love between two elderly persons and a young impulsive girl. Anne eventually wins over her new guardians as she was able to forget her past and work towards to fulfil her dreams. While you will find Anne as a girl who is hilariously outspoken, strong-willed and shot-tempered, there are other characters like Matthew, a very gentle yet shy old man; Marilla, an extremely emotional, calm and demure woman, who is also good at keeping her cool and hiding her emotions; Rachel Lynde, nosey elderly neighbour; and Gilbert Blythe, a fine boy who is the classmate of Anne and who also possesses romantic interest for Anne. Overall, this long featured film (rather the miniseries) sends a message of love, persistence, passion and determination that together helps us in achieving our dream. 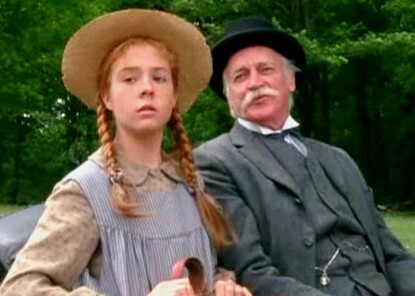 Anne of Green Gables, in a sense, is inspiring and utterly charming and so is the acting of veterans Dewhurst and Farnsworth. This magical tale of another time is a must watch indeed!